This page is for non-Lotus vehicles that we have built or upgraded. We are currently selling a vehicle that we've worked on a short while ago. It's an 1981 Delorean DMC-12 which we have supermodified to hold a mazda 3-rotor Rotary engine and a Porsche C2 6-speed limited slip transmission. The engine turns about 300HP, and at a little over 3000 lbs gross weight, this car really moves! It also has a state of the art electronic dashboard. All inquiries, click here to send email! 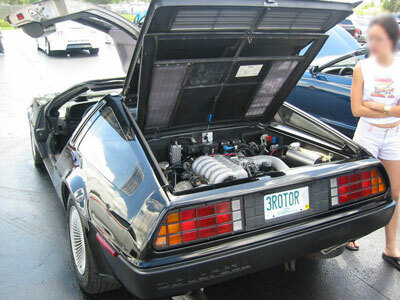 To go to the Rotary Delorean page, click here. We have also offered support for many vehicles modified at Miami-based CLR Motorsports, a leader and innovator in rotary engine upgrades and modifications. 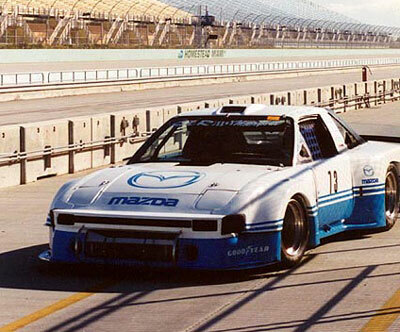 CLR Motorsports race car - SCCA 2003 GT1 champion.